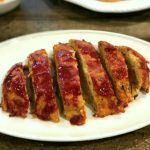 Moist and Delicious All White Meat Chicken Meatloaf – Moist and Delicious is what this all white meat chicken meatloaf is all about. You won’t miss the beef in this tasty dish. A family favorite that I make for an easy weeknight meal and when company comes to visit. Make one up and enjoy! 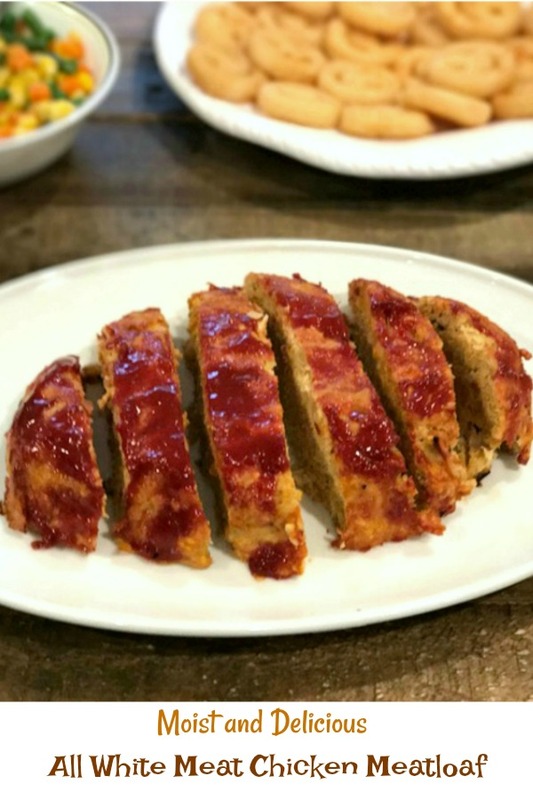 Growing up my mom made meatloaf once a week. She always used ground beef. Delicious to say the least. Nowadays there are other choices such as turkey and chicken and even pork mixed with the ground beef. 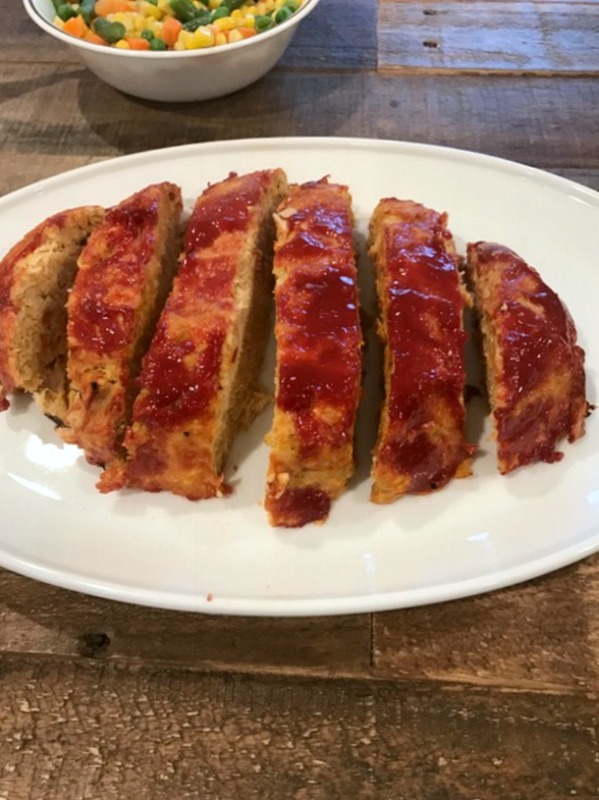 On the blog there’s a few great meatloaf recipes that you should check out as well as this new recipe. This was the first time I used all white meat chicken for a meatloaf. My family and I were very happy and actually surprised how moist and tasty this came out. Give this simple recipe a try and taste for yourself. I think you will really enjoy it they way we did. Preheat oven to 350 degrees, spray a deep baking pan with cooking spray, set aside. In a large glass, porcelain or stainless steel mixing bowl, mix meat with all added ingredients except 1/4 cup ketchup for topping. Use clean hands to mix in but try not to over mix or handle the meat. Shape into a loaf in pan. Pour ketchup over loaf and spread with a spoon or butter knife. Cover loosely with foil, bake for 45 minutes. Take off foil and raise oven to 400 degrees. Continue to bake for another 15 minutes until juices run clear and internal temperature is 165 degrees. Enjoy! 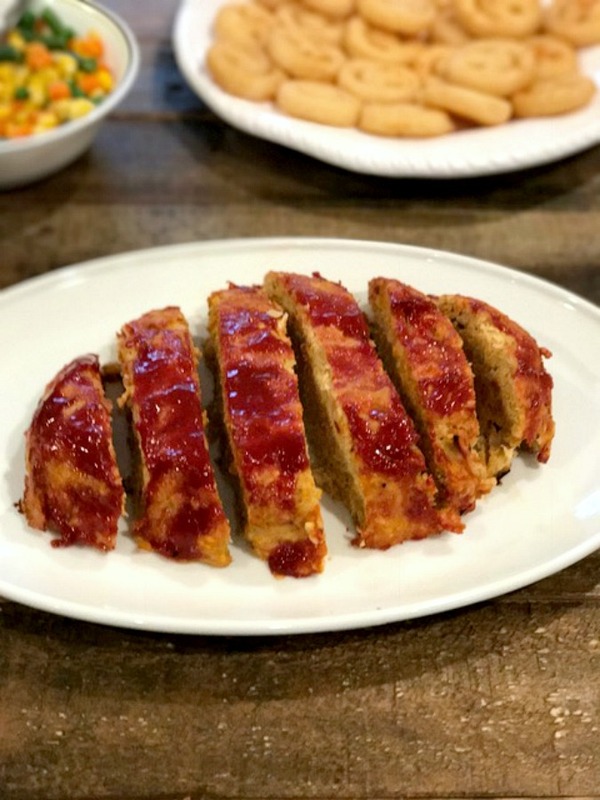 Moist and Delicious is what this all white meat chicken meatloaf is all about. You won’t miss the beef in this tasty dish. A family favorite that I make for an easy weeknight meal and when company comes to visit. Make one up and enjoy! 1.Preheat oven to 350 degrees, spray a deep baking pan with cooking spray, set aside. 2.In a large glass, porcelain or stainless steel mixing bowl, mix meat with all added ingredients except 1/4 cup ketchup for topping. 3.Use clean hands to mix in but try not to over mix or handle the meat. 4.Shape into a loaf in pan. Pour ketchup over loaf and spread with a spoon or butter knife. 5.Cover loosely with foil, bake for 45 minutes. Take off foil and raise oven to 400 degrees. Continue to bake for another 15 minutes until juices run clear and internal temperature is 165 degrees.